My thanks to virtual producers everywhere! 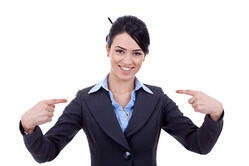 Where would we (virtually) be without you? I have been a facilitator in the virtual classroom since 1997. On rare occasions, I have the opportunity to take the role of a virtual producer and support other facilitators. And every time I do, I quickly realize that I don't have the temperament to take on that role full-time. Today, for example, I supported a WebEx session in front of a live audience at a conference in Orlando, Florida. The presenters were not able to travel so I was asked if I would manage a WebEx session in front of the live audience while the presentation was delivered virtually. The speakers delivered a fine presentation, I ran the technology, represented audience questions, and did all the things a good producer should do. And practically had to sit on my hands throughout the session. There were many moments when I wanted to interject with my own comments. There were half a dozen things I would have done differently. I had countless questions that I wanted to ask. But it wasn't my place. This happens to me every time I produce for someone else. The more interesting the program is, the more I want to contribute. The more questions I want to ask. I want to speak; have a conversation; be heard! It makes me appreciate the producers that support me even more. They anticipate my needs, advocate for the participants, contribute to the conversation - but never, ever seem to take the focus off of the content or me. Interested in learning more about producing in the virtual classroom and earning your Master Virtual Producer (MVP) Badge? 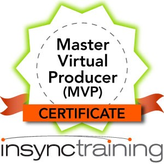 Check out our Master Virtual Producer (MVP) Certificate course by clicking on the graphic below.